List of Class XII Students who are merit Holders of AISSCE- 2015. Students of KV Kathmandu generously contributed Rs 20,444/- to Prime Minister Relief Fund of Government of India as a small gesture towards the Flood relief efforts in Jammu & Kashmir. 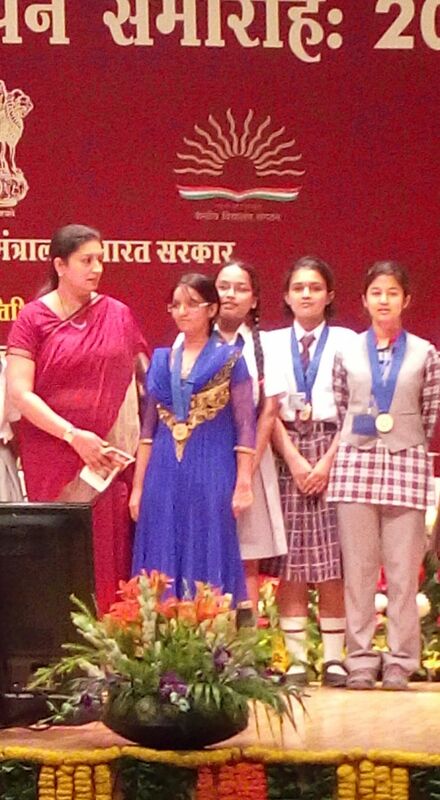 Miss Pragya Priyou ,XI (Science) secured second position in laghubhashan (short speech) for the National Level Sanskrit Samman Week conducted by CBSE,New Delhi"
Our vidyalaya won FIRST POSITION in the INTER SCHOOL MATHS QUIZ CONTEST among 25 schools , held at DAV School , Kathmandu on 19/06/2014 . 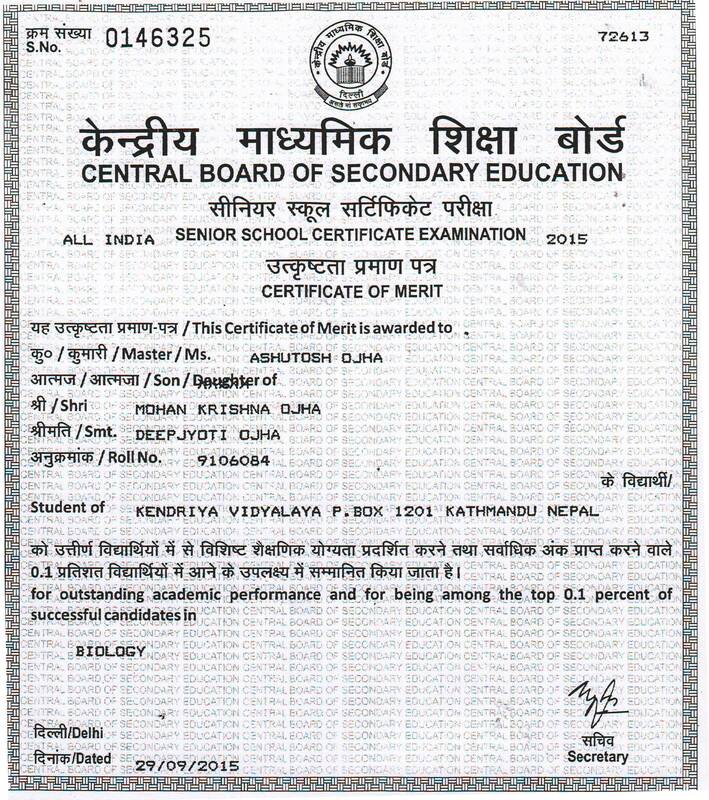 Master Pranav Pratap Singh ( Class VII ) and Master Arjun Singh ( Class VIII ) represented KENDRIYA VIDYALAYA , EOI , KATHMANDU . In a qualifying online round , 25 Schools participated for securing their position in the final round and In the final round , KENDRIYA VIDYALAYA , EOI , KATHMANDU secured FIRST POSITION among 06 Schools participated in DAV School, LALITPUR,KATHMANDU on 19/06/2014. List of Class XII Students who are merit Holders of AISSCE- 2014.